Many report that listening enhances expanded awareness. "It's a quantum leap in brainwave entertainment music..one of the most pleasurable audio experiences I know of." Harmonic Brainwave Synergy features spiraling multidimensional sound that activate the flow of in experience. Many report that listening enhances expanded awareness. "It's a quantum leap in brainwave entertainment music..one of the most pleasurable audio experiences I know of. Get a copy and hear the future." - Zentech. Harmonic Brainwave Synergy, the Sound / Mind connection, combines applied research into the effect of sound on human consciousness with state of the art advances in psycho acoustic technology. As you listen, you may become aware of spiraling patterns. These are created by processing precisely phased sound waves through computer synthesized space/time modulation. This multidimensional matrix of sonic energy can harmonize and resonate with your own internal rhythmic processes. The resulting focused, relaxed state of mind facilitates harmonious body/mind integration and states of expanded awareness. It's also pretty good for if you're really high and decide to drive slowly through the countryside. A friend of mine did that once, we're driving around enjoying the country drive and he puts this in and after a few moments proceeds to hit the windshield washing fluid. The cassette itself says, "do not listen to this while driving", so this was a risky venture all around but as I said, we were driving very slowly in a wooded area, and were very high. So the effect overall was quite transporting. I love this CD and I've found it to be especially effective when used in combination with a light/sound entertainment device. This CD, when combined with an alpha/theta light/sound program seems to produce a very profound state of relaxation along with vivid imagery (especially spirals). The sound patterns seem to perfectly blend and enhance the light flashes in the alpha/theta range. Everybody who has tried this combination has had vivid hypnotic images along with a deep feeling of peace that seems to last several hours after the program is over. This music is like the sounds of the 80's mixed with the 60's and creates this time warp of electronica. It's definitely some trippy ear candy. I'm going to use for my party this weekend. It will be something different for sure. Brian Caldwell - Creativiy Generator - Nerosound Video. 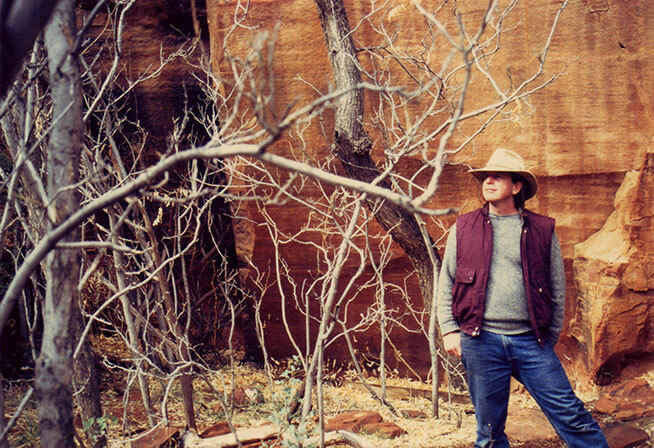 Neuro-Ambient musician and composer, R. Brian Caldwell began exploring the sound/consciousness connection with his wife Suzanne in Santa Fe, New Mexico in the 1980's. Together they built and operated "Waters Edge," the Southwest's first public dual flotation/isolation tank facility. Within the tank's dark, silent, and weightless environment, they explored worlds of sound and consciousness using underwater sound transducers specially designed speakers that transmit sound to the entire body.From their research, ancient and contemporary sound/mind techniques were combined together using modern technology and custom-built electronics. Their most effective techniques were skillfully blended using state-of-the-art equipment into the Metasonics series.Produced at Caldwell's MetaSonics Sound Studio in magical Sedona, Arizona, MetaSonics integrates techniques developed during his nearly 30-year-long exploration into the sound/mind connection now benefiting thousands of users and therapists worldwide.